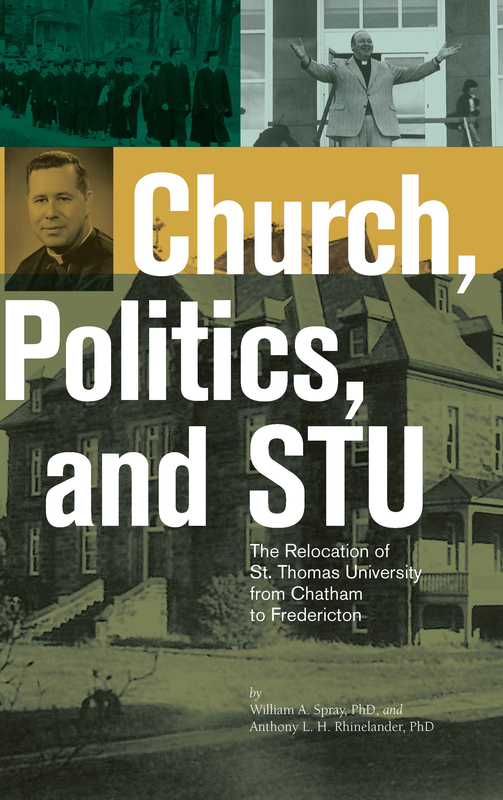 Based on research carried out in hitherto restricted archives, Church, Politics, and STU: The Relocation of St. Thomas University from Chatham to Fredericton is an abridgement of a longer work entitled A History of St. Thomas University: The Formative Years, 1860–1990, available on this website. Drs. Spray and Rhinelander paint a nuanced historical picture of St. Thomas’s evolution from a small Roman Catholic college founded in 1860 on the Miramichi to the nationally recognized liberal arts university it had become by 1990 and remains today. This book deals primarily with the 1950s and 1960s and the political and religious circumstances in which the relocation of the university from Chatham to Fredericton was first discussed and eventually carried out. 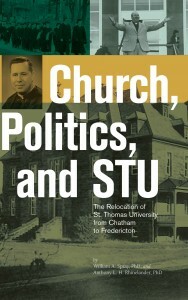 To order your copy of Church, Politics, and STU, please contact the office of advancement and alumni relations at 506-452-0521 or email alumni@stu.ca. Copies are available for $19.95. Copies can be shipped to your home for an additional $4.